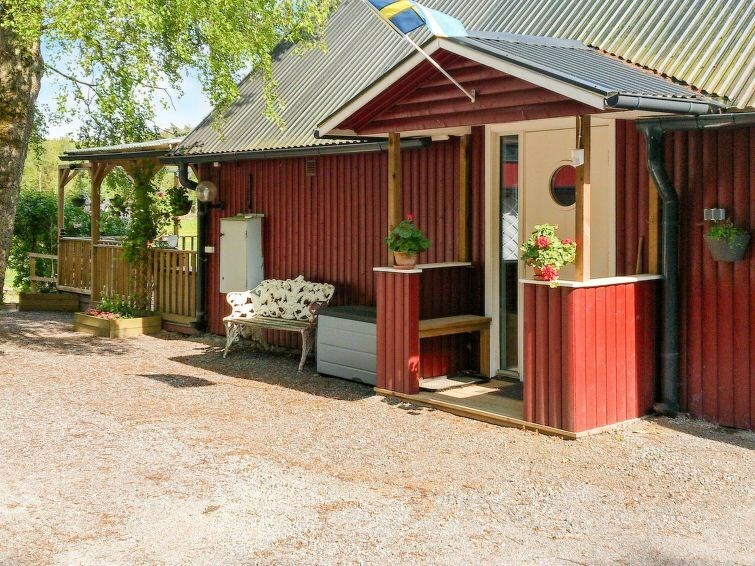 Welcome to this cosy holiday home set on a large forest plot in the northwest of Skåne. Its only two kilometres from the beach. The cottage is a former barn that was rebuilt in 2012. It is set on the same garden plot as your landlords house. The garden is 5000 square metres so you will have plenty of space. On the bottom floor, theres an open-plan kitchen, dining room, and living room. The kitchen is equipped with ll the amenities you need, including a dishwasher. The living room contains a sofa bed, a TV with satellite channels, a DVD-player and WiFi. The bathroom has underfloor heating and features a WC, a washbasin, and a shower. On the mezzanine, you will find a double bed and two beds for children. Please note that the ceilings of the mezzanine are sloped and the ceiling height is only 160 centimetres. 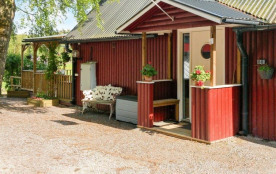 Lake Hultasjön is about two kilometres away and has a beach with a large bathing dock, changing rooms, and showers. The area around your cottage is perfect for walking and cycling. Theres a grocery store in Örkelljunga. Skiing possibilities in Hallandsåsen, about a 30-minute drive from your cottage. You can also visit the elk safari in Träryd, near Markaryd. The town of Helsingborg is about an hours drive from the cottage. From Helsingborg you can catch a ferry to Denmark. 1 mezzanine: (1DB), cot 150 cm. Örkelljunga kommun - 4 pers.